Multilingualism will be an integral part of the school of the future. Proceeding from this idea, students drafted short texts in which linguistic diversity is explored auditively and artistically. They produced short audio contributions according to their own ideas in which they presented their first language. Idiomatic expressions, favorite words, comparisons with other languages, general thought on linguistic diversity were all recorded using their own voice, with the spoken word subsequently processed using Audio Editor. The resulting audio features—from information on languages and scenes from audio plays, to studio interviews—can be heard via headphones on the Visiophon, an audio station in the form of an oversized question mark sculpture. In addition, all the contributions were broadcast in self-moderated radio programs. The Polytechnische Schule Burggasse (PTS im Zentrum, Vienna) provides an opportunity for students to complete their 9th (and final) obligatory school year. The school provides numerous projects and thematic courses which help young people make a start in (professional) life or take up further education. The Bundesblindeninstitut (Vienna) works with different support, teaching, and education plans. All types of lessons are taught according to the methodological and didactic principle of promoting students who are blind or seriously visually impaired. A special focus of the special needs teaching is sport and creative activities. The Landesberufsschule Stockerau (Lower Austria) provides training for the electronic and electro-technical professions. Four multi-week courses are offered each school year, whereby the trainees complete one of these courses, spending the rest of the year in the company where they are apprenticed. 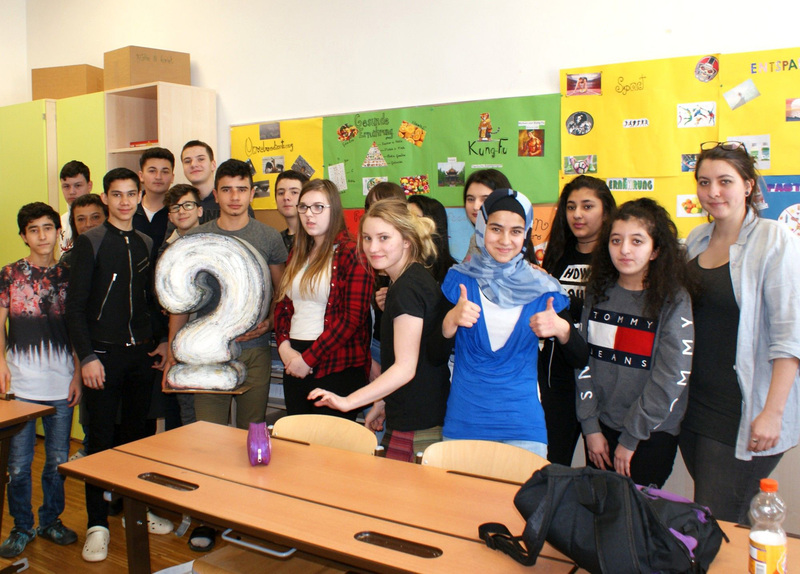 The Augartenschule, a new secondary school in the Upper Augartenstraße in Vienna, provides two weekly German remedial courses for students from different grades and schools. Students who have not been in Austria for long thus have the opportunity to train their German language skills in the group. The group gecko art was founded in Vienna in 1993 by the artists Evelyn Blumenau (actress, radio journalist, author, singer) and Walter Kreuz (artist, radio journalist, author). As a mobile audio group, the artist duo produces its own radio plays, reading performances, and participative audio modules. In cooperation with groups it produces audio features, radio programs, and audiovisual sequences. gecko art has received numerous regional and international awards.